The allure of railways, the objects that run along them and the material culture associated with them is widely recognised and just as widely indulged in. 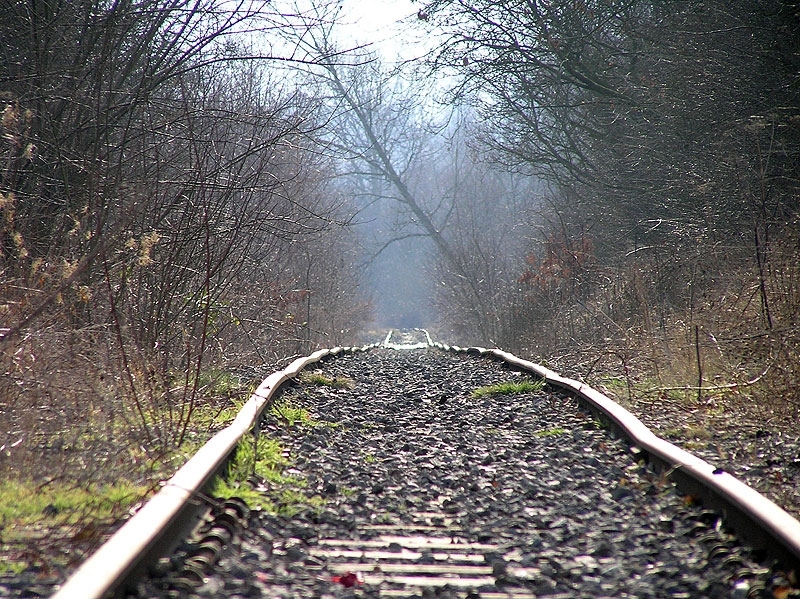 But though I am as thrilled as any train-spotter by the sight and/or sound of a steam engine, for me the real fascination is in the traces that remain once a railway is abandoned and, usually, destroyed. 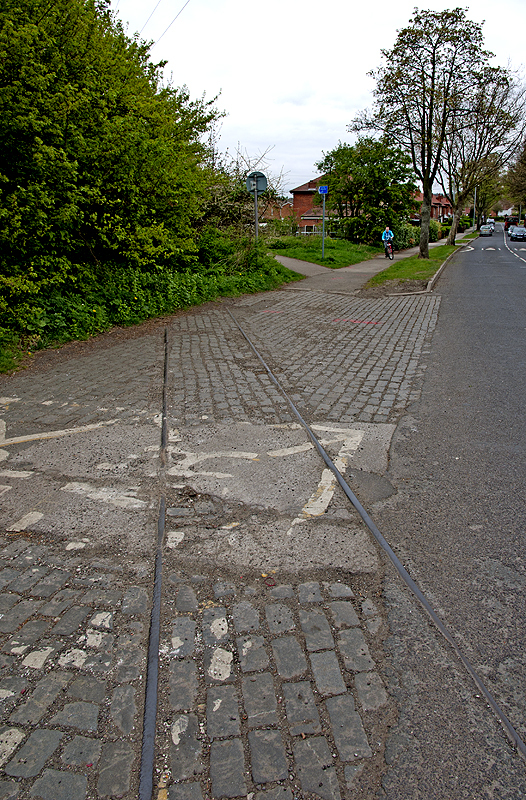 These often-faint remains can be of standard gauge branch lines, but also of the smallest miniature railway. All are now, of course, archaeological sites. 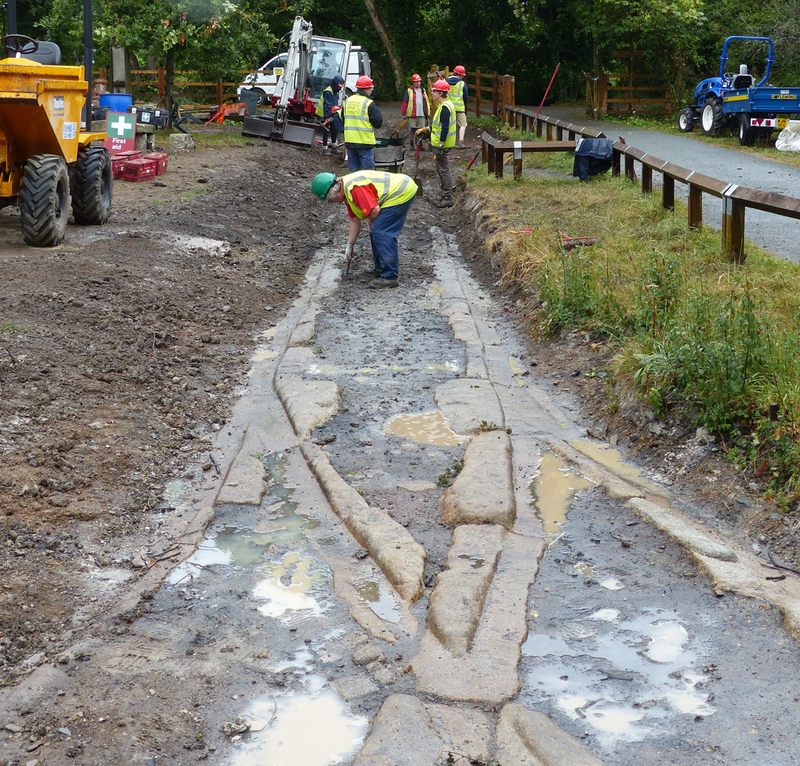 Interestingly they are usually industrial archaeology sites in transition, eventually becoming landscape archaeology as nature reclaims what ironically was once so-called "permanent way", the track formations, and the earthworks and structures around it. So here you will find, obsessively photographed fragments of iron and steel rail embedded in pavements or the sites of long-vanished level crossings. 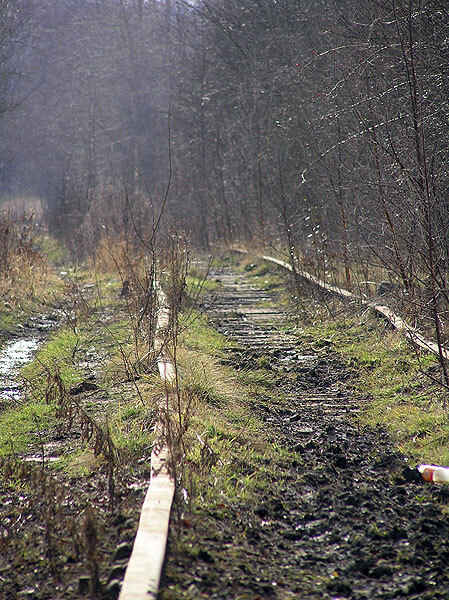 Bits of rail projecting from derelict mines or reused as fence posts. Here, footpaths that follow and celebrate the routes of railways across landscapes, lichen-stained alignments of stone sleepers of tramways, the few stones of a crumbling platelayers hut amongst tangled brambles... 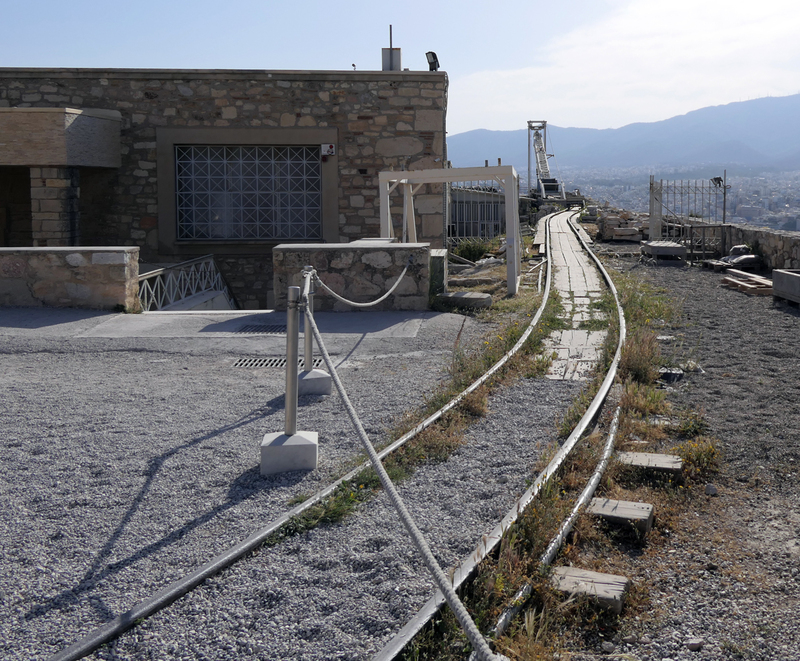 This lust for rusty rails is so deeply embedded in my psyche that, on a recent visit to the Acropolis in Athens, I not only photographed its ancient stones, but also the short length of narrow-gauge track, with its single wagon, used to shunt masonry about what is, and probably always will be, a huge building site! 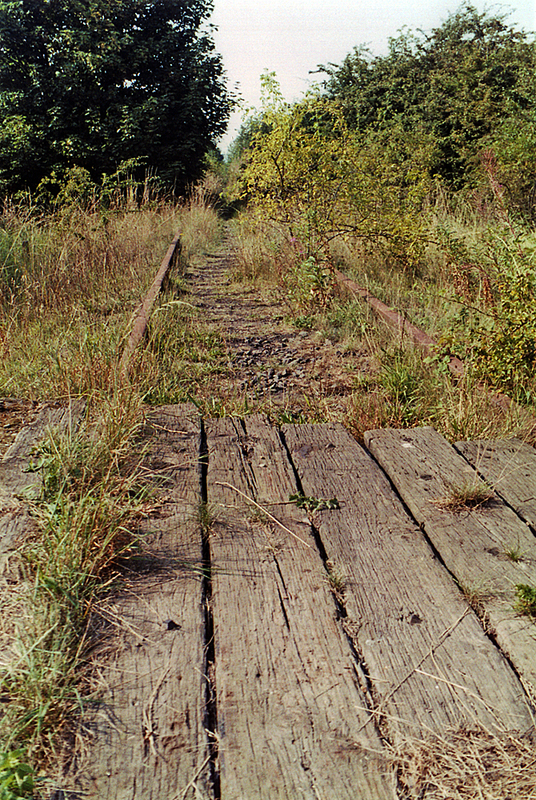 Most of the rails along the route of the Ripley branch have now been lifted, so my visit in 2006 is a record of what remained a decade or so after the last train ran along the line.